This week I am so excited about Sunday Stash! 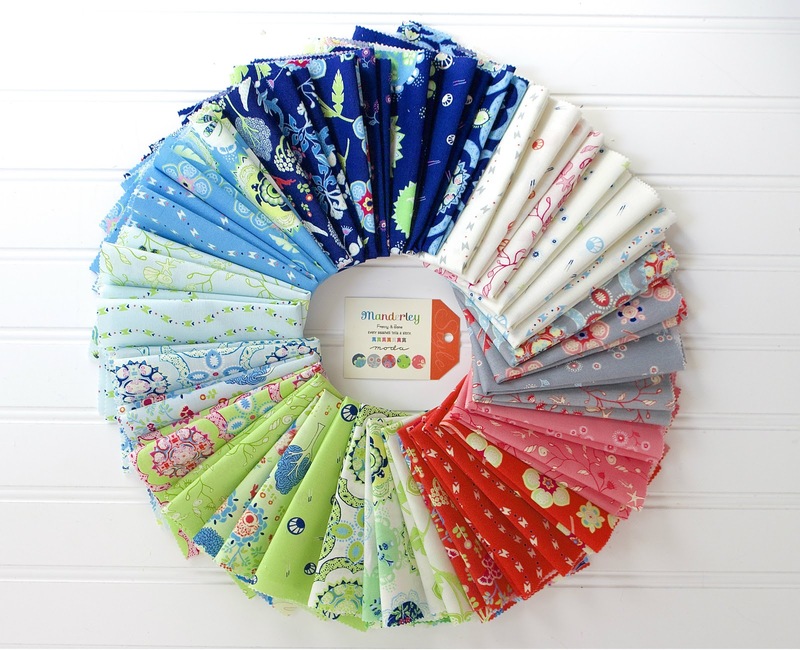 The Fabric Line I am sharing is by two women in the quilting industry that I really adore! 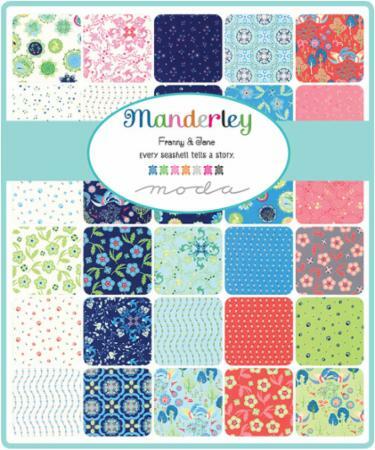 Jane Davidson from Quilt Jane and The Splendid Sampler teamed up with Frances Newcombe to create the delightful fabric line Manderley for Moda fabrics! "Their collection is named after the mansion in Rebecca, the 1938 novel by Daphne DuMaurier that was adapted into a thriller/mystery film by Alfred Hitchcock in 1940. Though the story’s themes align with Jane’s love of mystery—a young woman marries an older man and moves to his slightly sinister seaside manor—the fabrics are anything but gloomy and focus on secret gardens, Asian-inspired decorative elements, seashells, and flowers, all done in fresh hues. 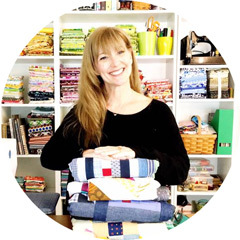 For Quilt Market, they took their story and worked it into an incredible range pillows, bags, coasters and quilts, including those Jane designed just for Manderley." You can read more about Jane and Frances on Moda's Cutting Table! There are also some incredible photos from Quilt Market for you to start planning for when this fabulous collection is released in October! ( you can be put on the list now notification at Fat Quarter Shop). I paired it up with some amazing Aurifil 50wt threads to show how perfect the colors look together! I am linking up to Sunday Stash with Molli Sparkles! fascinating inspiration for the design of the fabric line! I love how you pair it with the thread, it really shows off those beautiful colours! I love this collection. Can you give us the name of the thread colors and the numbers? 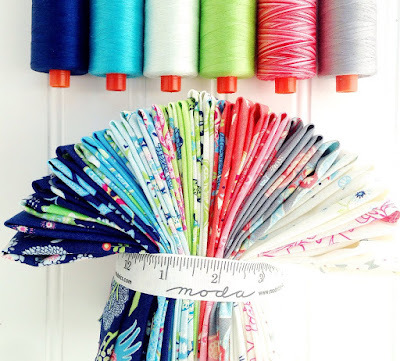 When you are shopping for fabric online, how do you know which thread to pair it with? With my limited budget (young retiree) I need to make very wise choices and my local quilt shop doesn't carry a large selection of Aurifil, which I prefer. I appreciate your time in responding to my question. Thank you!